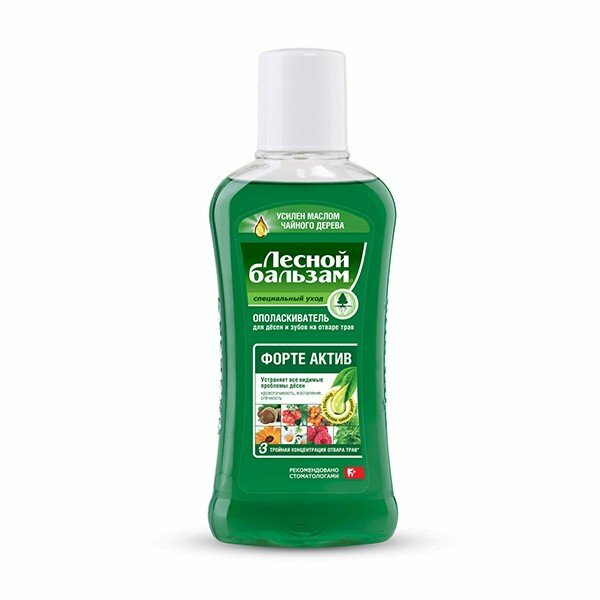 Forest Balm Forte Mouthwash includes pine complex with a triple concentration of herb decoction, 8 herbal extracts and aloe Vera juice. Rich herbal composition of the product contributes to the rapid reduction of inflammation and bleeding in gums, nutrition and recovery of the soft tissues of the oral cavity. Recommended by dentists for mild and chronic forms of gingivitis and periodontitis, as a part of the supporting course in the postoperative period after dental procedures to restore gums.